You can take the following 3 vehicles and then go to hotel or conference building by walk according to the local maps below. Taking airport shuttle line 5 to Zhongguancun (中关村) Station (the last station) which costs about 30 Yuan. Taking subway line 10 to Zhichunlu (知春路) or Zhichunli (知春里) Station which costs about 30 Yuan from airport or 5 Yuan from train station. 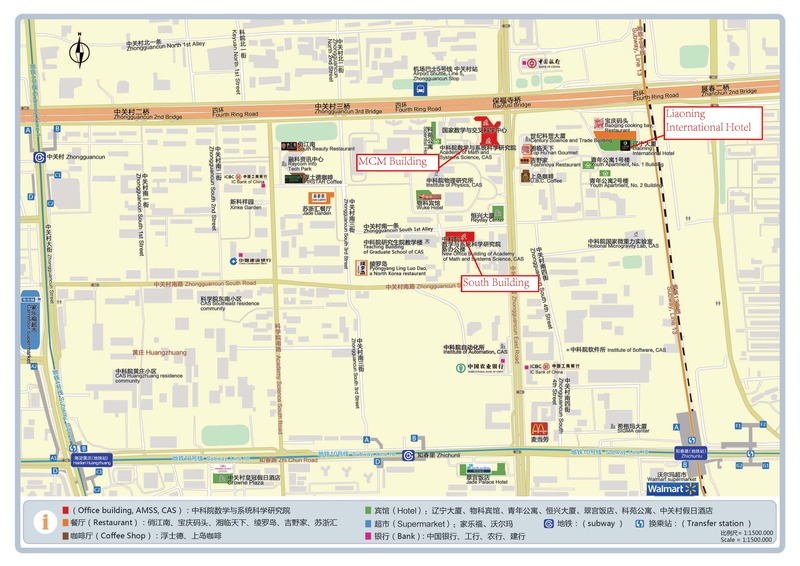 Taking taxi to Baofusiqiao (保福寺桥) which costs about 100 Yuan from airport or 50 Yuan from train station. You can print the following message and show it to taxi driver. Please take me to the Liaoning International Hotel.